The scientific literature on nutrition is very complex and full of contradictions. I am very critical about experts and very grateful to have met Gemma five years ago when I was looking for answers about celiac disease. At present, I am interested in nutrition as a general health and lifestyle issue. I started with a Paleo / GAPS diet for six months, followed by an essentially vegetarian diet. For the past five months, I have been on a natural hygiene diet (life science) based only on whole and fresh raw fruit, with an intermittent daily fasting. Symptoms I had, such as bad breath and hemorrhoids, completely disappeared for the first time in ten years. Gemma kindly advised me during these five years. She explained the different theories in a simple way so that I could decide what to do. She helped me apply them, from theory to practical advice, with recipes and weekly menus, as well as cooking lessons. She also supported me in decisions to be made at key moments (dips of tension, exaggerated weight loss), to become self-taught and to listen to my body (for example, to determine which foods suit me), and to become aware of the impact of sport, stress, emotions and sun on my health. Obviously, she does not have the answers to all the questions, but she admits it without any problem when it occurs. Gemma is open, critical, scientific and passionate about nutrition and health in general. I particularly appreciate her thorough and up-to-date knowledge of nutrition and her honesty (she never tried to sell me nutrition products). We arrange an appointment in person or by videoconference when I need it, and she replys to my emails in less than 24 hours. I recommend Gemma's coaching warmly and without reservation! Vegan or paleo? Choose vegan and paleo! Vegan or paleo? Two approaches to nutrition that are completely opposed. How is it possible that both have considerably improved the health of many people? Vegan and paleo!. Why not unite both approaches, taking the best of each one, to form a diet that is even better? Continue reading Vegan or paleo? Choose vegan and paleo! 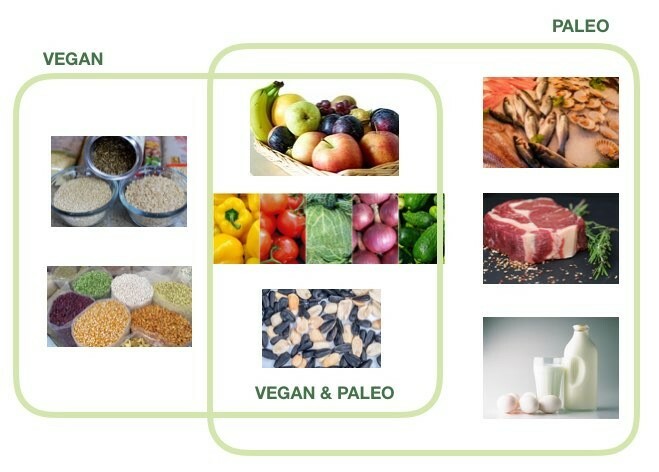 Both the nutritionists that favour vegan plant-based diets and those that stand for paleo diets have very good arguments supported by scientific studies. Innumerable testimonials are cited on both sides crediting the respective diet for their healing while criticising the damaging effects of the opposite diet on their health. The explanation for this may be found in the fact that both entail an improvement compared to a conventional “healthy and balanced diet”. In the vegan diet, this improvement is the elimination of animal products and sub-products; while in the paleo diet grains, beans and pulses are removed. That is to say, not one but both of these foods are detrimental to our health: animal products, as well as grains and pulses. As such, by eliminating any of these foods, our health will benefit, as long as they are replaced with healthier products. That is, if a person becomes vegan by replacing animal products by eating more bread, pizza, pasta and desserts, their health will worsen. In the same way, if by adopting a paleo diet grains and pulses are replaced with processed meat, canned fish, and dairy products, one’s health will also decline. Instead, the replacement must be made by increasing the amount of fruits and vegetables. By doing so, either diet will bring about an improvement. However, if one’s health does not improve even after making the replacement with fruits and vegetables, it is possible that the chosen diet was not appropriate to the type of healing (i.e. addressing a specific disease/illness) that was needed. For example, the principal causing factors of the Raynaud syndrome are the complex carbohydrates, so a vegan diet based on grains and starches won’t work. In this case, a paleo diet is more suitable. When following a paleo diet, however, it’s possible that new symptoms may begin to appear, including fatigue, dark circles under the eyes, constipation, bloating, slowing down of mental abilities, or even memory problems. The improvement achieved by one of these diets would be even more significant if both of these were combined, by becoming vegan and paleo at the same time. How can we do this? This is possible by eating only the foods that are common in both diets. Although there can be big differences between different branches of vegan or paleo diets, in general the food that is allowed in both diets are: fruits, vegetables, nuts and seeds. And these are precisely the foods that are recommended by the Natural Hygiene approach to health as the best sources of nutrition for humans. As always, it is important to consider that one’s health condition may temporarily worsen in the process of changing one’s diet, due to the detoxification and possible withdrawal to food products that one might have been addicted to. In this case, consulting a nutritional therapist can be helpful. Thus, if changing to a paleo or vegan diet has improved your health and you want to progress even further, opt for a paleo and vegan diet. Headaches can be caused by certain foods when there is a predisposition to suffer neurological diseases, and also it can be due to bad life habits. In this article we expose the main sources of headaches. Consuming smoked products and swallow tobacco smoke can lead to headaches. These products contain a harmful substance called PAH (Polycyclic Aromatic Hydrocarbons) that result from the incomplete combustion of food, tobacco and any kind of organic matter. In addition to smoked food, other food that contain a high amount of PAH are food that has been cooked at very high temperatures, mainly barbecued, baked, fried, and roasted food. Boiling and steaming creates much less PAH. Here you will find more information about PAH concentrations in different cooking methods. PAH are carcinogenic, and although in small doses, like the amount that can be normally found in the environment, it doesn’t signify a danger for most of the people; in more considerable amounts, like the intake of a smoked product or smoking tobacco, the effect begins to be significantly important enough to trigger a headache; and higher doses imply a significant risk of cancer. It is known that the intake of an amount of alcoholic drinks that a person is not accustomed to, ends up in a hangover the following day. But our body will suffer the consequences of the alcohol even without having any alcoholic drink, if we have a dysbiotic gut flora, such as for example, if there is an intestinal candidiasis or an intestinal overgrowth of any kind of mold or yeast. In this article you can read more about the endogenous alcohol production and its consequences. In this case, it’s necessary to find out which are the causes of that dysbiosis: a food intolerance, an excess of food consumption, stress, etc. The people who have coffee daily, experience migraine when they don’t have their daily dosis of coffee (caffeine). 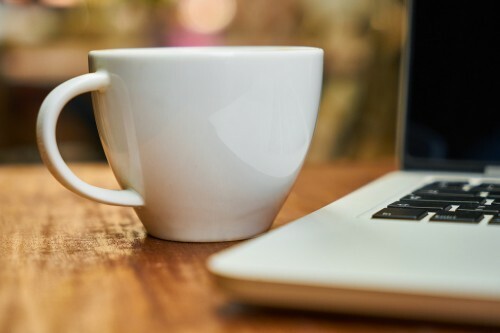 Coffee is like a drug that creates addiction, so when the consumption is stopped or decreased, the related withdrawal syndrome appears, characterized mainly by headaches. In order to abandone this addiction, it’s recommended to gradually reduce the amount of coffee every day, until stopping completely. The people who have a histamine intolerance can suffer headaches, between other symptoms, when they have a certain amount of histamine in their food that exceeds their tolerance threshold. The food that contains more histamine are all fermented food, such as dairy products, wine, vinager, soy products and fermented vegetables (sauerkraut, pickles, etc.). Other foods also high in histamine are: all processed meat and fish, such as charcuterie and canned fish; and shellfish. Other food with a considerable amount of histamine are chocolate, coffee, tea, bread yeast, nuts, some fruits and any kind of food that is not fresh made. Also, some food induce the release of our own histamine, such as some fruits, spices, egg yolk and additives. To know more about histamine intolerance you can consult this article. Eating food that you are intolerant to, such as gluten, eggs, dairy, nuts, etc., triggers an immune response caracterized by inflammation. The inflammation is shown as heat, redness, swelling, and pain. Depending on every person, the part of the body affected by the inflammation can differ. If the weak part of your body is the head, then food intolerances can lead to headaches. Some women suffer migraines before the period due to the hormonal changes and, headaches can start up to 14 days before the menstruation. But PMS shouldn’t be considered as something “normal”. Improving nutrition and different aspects of life style PMS can be greatly decreased or even completely get rid of it. This sensitivity can be reduced in large part to a lower sensitivity thanks to nutrition and life style. In this article I explain my personal experience with MCS and how I got rid of it. The lack of water in your organism decreases the blood flow in the brain, and this may cause headaches. In order to know if your headache is caused by dehydration, you can observe the presence of other usual symptoms associated with dehydration: dry mouth and thirsty; tiredness or sleepiness; low volume of urine and darker coloured urine; dizziness; dry skin; and even rapid heart rate, fever, nausea and vomiting, etc. Evidently, you must drink more water if you are dehydrated, or take more food with high water content (fruits and vegetables). * Other possible causes are: sleep depravation, extreme temperatures, strident noises, emotional problems, etc. Alcohol, coffee, tea, chocolate, coke … are some of the stimulants that we consume on a daily basis. We think that they are not harmful, and even some studies even claim they may be beneficial in small amounts. But what is really happening in the body of a person when he/she has these products? And what happens when he/she tries to stop having them? Did you know that some foods containing sugar, dairy and gluten follow a similar process in the body? This article is a review of Herbert Shelton’s teachings about stimulants, from his book “Human Life. Its Philosophy and Laws”. One of the Laws of Life, the Law of Vital Accommodation, states “The response of the vital organism to external stimuli is an instinctive one, based upon a self-preservative instinct which adapts itself to whatever influence it cannot destroy or control”. This means that when a human is exposed to a stimulant, the organism will try to defend itself from these substances, but if the defense is not possible, then the body will try to accommodate to it. 2) Tolerance and accommodation: Ceasing of the acute reaction. Stimulation and craving for that substance. Desensitization to the substance with the subsequent need to increase the amount. Protective reaction. 3) Exhaustion: Development of the chronic disease and organ failure. “The first effort of the living organism, in response to adverse influences, is to overcome and destroy these. Failing in this it attempts to accommodate itself to such conditions and influences. For, what it cannot overcome, it must learn to endure or perish. The man who habitually indulges in stimulation would exhaust and destroy himself with but few indulgencies if the organism had no means of curbing its reactions against the stimulation and thereby lessening the expenditure of vital power. The first effect of stimulation is exaltation of function; if it is long continued, or often repeated, exhaustion with an almost total abolition of function results. The repeated use of stimulants would soon result in death. But their repeated use soon brings about a condition in which the organism ceases to respond so readily and violently to the stimulant. If the former amount of stimulation is to be received from the stimulant a larger amount of the stimulant must be used. All normal individuals are possessed of a natural repugnance to poisonous and injurious substances. The instinctive aversion to any kind of poison may be perverted into an unnatural craving after that poison. Instinct is plastic. If the warnings of the organic instincts are unheeded, and the offending substance is again and again forced upon the body, nature, true to the law of self-preservation, seeks to prolong life by adapting the body to poison. The first smoke usually occasions a very powerful reaction against it on the part of the organism. The young man or woman is made very sick; there is headache, nausea, vomiting, loss of appetite, weakness, dizziness, muscular relaxation, tremor, weakness, etc. So long as the physiological powers and instincts are undepraved and unimpaired they instantly perceive the poisonous character of the tobacco and give the alarm to the whole system. A vigorous effort is made to destroy and eliminate it and the user is forced to throw away his tobacco. But if he continues to repeat the performance, the reaction against it grows less and less with each repetition until, finally, he is able to use many times the original amount without producing such results. His system learns to tolerate it and adapts itself to its use as far as possible. The system soon becomes depraved and its power impaired by the use of the tobacco, its poisonous character is no longer detected and no alarm is given; rather a craving for the substance is developed. However, the habitual use of any substance that is injurious in itself cannot in any way render it harmless or beneficial and the habitual presence of any such substance is injurious to life, even, though, no energetic effort is made to resist its action. What is here said of tobacco is true of other poisonous substances. Ordinarily the user of drugs such as tobacco, opium, alcohol, cocaine, etc., becomes so accustomed to their use that he is able to take at one time enough of his favorite drug to kill several non-users outright, and yet, it only produces in him an apparent normal condition of comfort and strength. If given time the body is able to adapt itself to all kinds of varying conditions. Only sudden and violent changes become immediately destructive of life. If we suddenly force upon the non-user the amount of alcohol, arsenic or opium used by the accustomed, it may cost his life. Under natural living conditions, where enervating influences are removed and the organism is gradually strengthened, the body arouses itself to acute eliminating efforts or crises. These, too, occur, apparently, in accord with the law of periodicity and are similar to all other crises. Crises usually last until the disease producing factors have been reduced to the toleration point. this point varies with the individual and with the varying conditions of the individual. Thus the greater the amount of vitality one possesses, the less morbid matter will his system tolerate, and as the vitality of one with chronic disease is gradually raised, his toleration point also rises so that crises occur. After toleration for any deleterious substance has been established, those acute reactions that followed its initial employment, arise only when one takes an unaccostumed amount of his accustomed poison. I will give a few examples from life to illustrate what I mean by this. A man who suffers from constipation resorts to epsom salts to force his bowels to move. They work like a charm. He continues to use them until toleration is established and, then, finds that in order to secure the desired movement, he must increase the size of the dose. By using more slats than the body has learned to tolerate he secures bowel action. Similarly, physicians, in giving stimulants to their patients, find that they must continually increase the size of the dose, or, resort to another and unaccustomed poison, to secure the desired stimulation. The body is forced to accommodate itself to such substances, so that it no longer reacts violently against them, or else it will exhaust itself in the frequent reactions. Arsenic may be taken with food as a seasoning; as freely as table salt, with as little immediate evidence of its poisonous character; and even prussic acid, which kills instantly like lightening, where the body is wholly unaccustomed to its action, may with proper care be gradually brought to act upon the human system, till it can be used with considerable freedom. This wonderful capability of the living body to adapt itself by physiological depravity to the action of poisons of every kind, has not only led the human race to the excessive use of such substances as means of intoxication, but, almost as a necessary consequence, has also led them to the full belief that those substances are innocuous and salutary. “Habits, gradually built and long established, cannot usually be suddenly broken. It is often the sudden breaking off of a habit, long practiced, it is often followed by one or more crises more or less severe as the organism seeks to accommodate itself to the changed conditions. When a bad habit, like the tobacco habit or alcohol habit, is given up, the individual will lose weight and undergo crises and this will convince him that the abandonment of the bad habit was injurious. What was really happening was the tearing down and casting out of the system of the depraved tissues and substances and this is then followed by a renewal and regeneration of the body. The crises and loss of weight are beneficial measures and should be welcomed, not feared. “The law of accommodation cushions the bottoms of the feet of bare-foot boys, girls and adults, and guards the hands of the manual laborer by a similar cushion. In the mouth, throat, stomach, intestine and bowel, a similar hardening and thickening takes place to guard the at first sensitive linings of these organs against the constant irritation to which they are ignorantly subjected by those who use tobacco, mouth washes and gargles, alcohol, coffee, tea, salt, pepper, mustard, horse-radish, spices, cathartics, mineral waters, etc. But this is an expensive business - this business of keeping the system accustomed to the action of irritants so that the sensibilities shall not be kept under torture by these. Such protection does not render them harmless. A similar hardening and thickening must take place in the arteries and veins. Hardening of the arteries is due to irritation caused by toxins and irritants of all kinds. Alcohol, whether ardent spirits, malt liquors, wines, cider or other alcoholic drinks, is a strong poison. It is highly irritating to every organ and tissue of the body and there is not one of them that is immune to its destructive influence. it coagulates the protoplasm of the cells of the body, just as it coagulates, or cooks, the white of an egg. This coagulation impairs and destroys the cells. The normal cells are then replaced by a substitute of connective tissue cells forming what is called ´scan-tissue´. This may occur in the brain and spinal cord resulting in paresis, paralysis, insanity and other nervous disease; in the liver producing sclerosis; in the heart and arteries producing hardening and other troubles in these; or it may occur in the lungs, kidneys, muscles or any other organ of the body. The functioning powers of these organs are gradually destroyed and the individual’s resistance to other disease influences is lowered. Don’t forget that a person can have alcohol in their body even if he/she doesn’t drink alcohol at all, if he/she presents some yeasts in his/her gut flora that produce alcohol from the ingested carbohydrates. This results in the same damage as drinking alcohol. "Tea, coffee, coca-cola cocoa and chocolate shall all be considered together because they all contain very much the same active principles and have very much the same effects. Neither of them have the slightest excuse for existences as beverages. Tea and coffee contain no food value, while the unaltered flavors of all of them are obnoxious to every unperverted taste. “Give a stimulant to a man of full-resistance and he reacts to it with increased activity and an increased feeling of well-being. When the period of increased activity ends there sets in, due to the excessive expenditure of energy and substance, a period of depression. All stimulants enable one to work beyond one’s normal strength. That is, they enable to keep on working long after nature has called for rest. They do this, not by adding to the powers of the body, but by calling out the powers held in reserve. They act in the same way a spur does on a tired horse. Slowly but surely, the reserve powers of the body are consumed under the influence of stimulants and physical bankruptcy follows. Coffee, tea, coca-cola, cocoa and chocolate, because of their almost universal use, are great offenders in this respect. They produce enervation and sleeplessness in proportion to their use. Those who use them become coffee and tea or cocoa inebriates. They are addicts as truly as the opium user. the habitual user of tea or coffee is tired, irritable and suffers with headache and other discomforts when deprived of his habitual cup. Nervous diseases result from the employment of such nervines. The body accommodates itself to the habitual use of tobacco, alcohol, opium, etc., to the extent of its ability to do so, but this does not prevent these substances from slowly and gradually undermining the constitution and finally resulting in disease and death. Even if sugar, gluten and dairy products are not exactly stimulants, they have addictive properties and it has been suggested in several studies that they may be considered as “drugs”, at least for some persons, i.e. those who have difficulty digesting these products. "Evidence for sugar addiction: Behavioral and neurochemical effects of intermittent, excessive sugar intake"
"Intense Sweetness Surpasses Cocaine Reward"
And here you can read more about the opioid effect of gluten and dairy products. Tolerance to sugar, gluten and dairy products is developed in the organism the same way that tolerance to stimulants or any kind of drugs. In infancy, from 4 months old, babies are gradually introduced to different grains or cereals, animal dairy products and other food. The organism of most of the babies refuse these foods showing up in different ways: vomiting, regurgitations, diarrhoea, eczema, mucus, etc. But we, parents, believe blindly in our doctors, who never link these diseases with food, and then we persevere giving these foods in increasing amounts and unhealthier forms, until child’s body finally gives up and stops the refusal, an inaction that we interpret as a “tolerance”. But in the same way as stimulants, what really happens in the long term is an exhaustion of the system, damages in body organs, development of chronic diseases, etc. Later on, as teenagers, the process starts again with other more harmful substances: alcohol, tobacco, and sometimes also drugs. First there’s a rejection, second a tolerance, and finally exhaustion. And in adulthood, if not before, we need the use of even stronger neurolytic substances, because the softer ones don’t have an effect on us anymore - we tolerate them - , and the real causes of our problems (physical, psychological or spiritual) and diseases have never been addressed. Desensitisation treatment (Immunotherapy) uses the same accustomation or tolerance process, by "exposing people to larger and larger amounts of allergen in an attempt to change the immune system's response" (Wikipedia). This means that your immune system, your organism, doesn’t refuse anymore the estranger substance (allergen) and doesn’t try to eliminate it anymore. What could be the consequences of suppressing the immune system and avoiding it to do his task of cleaning the body…? Has you ever felt a little bit sleepy after eating a salad? Or lightly constipated when you eat a very large salad? Lettuce contains a substance called lactucarium that “is known as lettuce opium because of its curative sedative and analgesic properties”, although it’s not an opium derivative. Not every person will feel the sedative effect of this substance; the sensitivity of every person is very different. 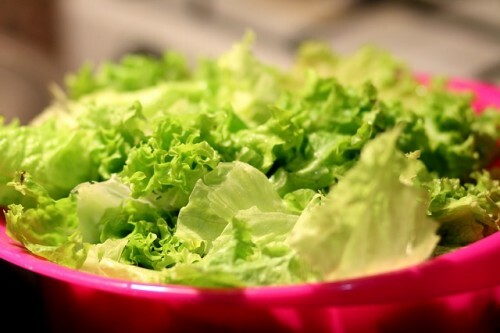 But if you are a hyper sensitive person, and you react to food-drugs such as coffee, chocolate, tea, coke, spices, herbs, etc., then I recommend you to be careful with lettuce. Have salads preferably in the evening meals, and avoid lettuce if you have tendency to have constipation. But also, if you are highly sensitive, you may use it as a medicine as an analgesic! Continue reading Has lettuce opioid effects? Powered by iwith.org. By renting their services I'm giving support to hundreds of NGOs around the World. Join Iwith.org Foundation too!